I love King saxes. They are not without their quirks and faults, but there is just that indefinable something about the sound of a King at full song that gets my blood pressure up and my hair standing on end. In recent years, these horns have developed a cult following, and I consider some of the models to be seriously undervalued. The King horns were produced by the H. N. White Company, which was founded by Henderson N. White in 1893. Mr. White had been a repairman in Detroit, Michigan and later moved to Cleveland, Ohio to head the re[air department at McMillin’s Music Store. He later former a partnership with C. H. Berg, and in 1893, bought Mr. Berg out and became the sole owner of the H. N. White Company. In 1903, he was joined by his brother, Hugh White, and in 1924, by his son, Richard White. Following the death of Henderson White in 1940, his wife took over operation of the company and ran it successfully for many years. The first saxophones distributed by the company were Buffet horns which were imported from 1908 – 1910. From 1910 until 1916, the company distributed Kohlert saxophones. In 1915, work began on the design of a King saxophone, and this model (an alto) was introduced in 1916. King secured a government contract, and the entire saxophone production from 1916 –1918 was sold to the U. S. Army. In June, 1919, a tenor and a C melody were added to the line. All three of these horns had, in addition to the forked E flat mechanism and G sharp trill key in vogue at the time, the unique “open” G sharp pad. I’ve always considered this system to be a great idea, and have often wondered why it was not adopted by other makers. This system involves using a double set of pads actuated by the G key, one corresponding to the note G, the other to the note G sharp. This has two benefits: the player can leave the right hand keys depressed while using the left hand mechanism (think of a D arpeggio), and the intonation of the problematic note A is vastly improved. These horns were available in bare brass, silver plate, silver plate with gold keywork, and gold plate. In 1922, a curved soprano, a baritone, and a C soprano were added to the line. In 1924, King revamped their saxophone lines with the introduction of the New Series horns. These instruments continued many of the features of the previous King instruments, such as braised rather than drawn tone holes, and featured a front F key, a wider G sharp key, and an improved octave key. This mechanism, designed for King by Henry Dreves (US Patent 1549911, granted August 18, 1925) was an attempt to eliminate the hissing that often occurs between high G and high A. In this system, the tube of the neck octave pip was slanted, and the point of pad contact was rounded to better seal against a pad with a concave surface. Additional engraving, hand burnished gold finishes, and nickel plating also became available. Some of the engraving found on King horns of this era is spectacular! The famous King Saxello was introduced in September, 1924, in an attempt to address problems associated with the straight and curved soprano horns of the time. In his patent application (U.S. Patent 1549101, granted November 2, 1926), Henry Dreves describes the curved soprano as being problematic in the bow area and uncomfortable to play. He further states that the straight soprano is acoustically superior, but is also uncomfortable in its playing position. His solution was a curved neck and a bell tipped at a right angle on a straight soprano. No tone holes were present on the bell, and only the upper octave pip was present on the neck. The instrument could be played on a neckstrap, rested on the players leg, or with an optional (and very rare!) V shaped stand. King revamped the line again in 1930, and claimed twenty-two improvements over its previous models. These changes were mostly different tonehole locations on the lower stack, and the resizing of other toneholes and movement of the octave pip to accommodate the new King designed mouthpiece, which featured a larger tone chamber. This model was called the Voll-True, and can be quite difficult to play with accurate intonation if a small chamber mouthpiece is used. In 1932, new alto and tenor models were introduced, known as Voll-True II horns. These are very nice instruments, with right hand mounted bell keys, larger palm keys, adjusting screws for some key heights, the elimination of felt bumpers, a clothing guard, a floating octave key cup, and an ill-conceived mechanism which eliminated the high E key. The alto made its debut in October, 1932, and was followed by the tenor in December. A baritone was shown in July, 1933. In 1935, the Voll-True II was essentially renamed the Zephyr. These horns appear to be the same, and even had the same catalog number. Fortunately, King had the wisdom to abandon the high E mechanism of the Voll-True II and use a conventional three key layout for the chromatic B flat, chromatic C, and high E. Sometime around 1940, the Zephyr horns acquired the “socket neck”, which was intended to reduce leakage at the joint between the neck and body. These are really great horns, among the very finest of the era, with an unusually full voice. King took the Zephyr theme a step further in 1939 with the Zephyr Special. These horns had solid silver necks, engraving on some of the keywork, and a different bore. Mother of pearl touches were also added to the palm keys and side keys. It is my understanding that they were also available with a sterling silver bell, although I have never seen one. After World War II, King introduced the legendary Super 20. The early examples were essentially Zephyr Specials with more elaborate engraving, but with a different neck. This neck, designed by Fred Meyer (U.S. Patent 2533389 granted December 12, 1950) was intended to provide more positive sealing and a lighter action, and became the trademark of the Super 20. The initial run of Super 20’s had the three ring strap hook of the Zephyr Special, and mother of pearl key touches. The left hand pinky cluster was changed around serial number 300,000 and the sterling silver neck became an option around serial number 340,000. The mother of pearl touches were discontinued, but a Super 20 baritone was made available. A silver neck was standard on the baritone, and I’ve seen one with a sterling silver bell. The socket neck was deleted around 390,000 and at 426,000 the production was moved from Cleveland to a new facility at Eastlake, Ohio. The underslung octave mechanism was discontinued, and these horns are generally considered to be of lesser quality and not as desirable. King was losing money on every Super 20 produced, and the line was discontinued in 1975. However, there are reliable reports of Super 20 horns with high serial numbers indicating later production dates. I can only assume that these instruments were produced from left over parts inventories. From 1960 until the mid 1980’s, King imported the Marigaux line of saxophones from SML in France. These horns were SML Gold Medal models (no rolled tone holes) and were marketed to the classical community. They were engraved with the King logo, and later examples were fitted with a high F sharp key. They are SML’s in all but name, and there’s nothing wrong with that! 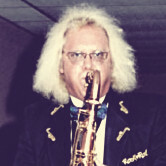 In 1995, King excited the saxophone world with the Super 21, which was exhibited at various trade shows. About a dozen of these horns were made (under the direction of Canadian repairman John Wier), and it was decided not proceed with further development or production. These horns represented a natural evolution of the Super 20, but the economics just were not there. Today, King produces only student line saxophones.